Hardy says he's maintaining UPrep programs as best he can. "Our kids still have the need, so we are very creative in streamlining site-based funds and other federal funds to make sure college opportunities and college visits still occur," he says. "[T]eachers receive annual professional development and we continue our partnership with the University of Pittsburgh." Budget problems — and yet another reform experiment — also saddled UPrep with unexpected responsibilities. Peabody High School was closed in 2011 in another round of closings, and some Peabody students were reassigned to UPrep. Meanwhile, the district attempted a controversial overhaul at Westinghouse, changing it into a single-gender academy. Parents who wanted their children to continue attending co-ed classrooms also had to send their students to UPrep. In the 2011-12 school year, UPrep's population went from 550 to 735. The district originally planned for UPrep to have no more than 600 total students, ensuring smaller class sizes. "The promise of a limited and controlled student population was ditched," Udin says. "If the school district had made a commitment to uphold these ideas, then maybe our results would be different," says Hardy. 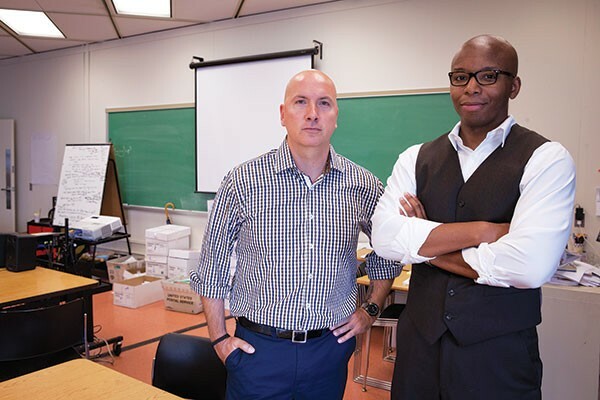 UPrep Director Anthony Esoldo and Principal Derrick Hardy are tasked with serving some of the district's neediest children. As it was, disciplinary problems swelled along with the number of kids in the hallways. According to the Pennsylvania Department of Education Safe Schools Report, incidents of misconduct at UPrep nearly doubled, to 252, up from 127 the previous year. Meanwhile, UPrep wasn't getting the assistance Roosevelt had hoped Pitt could offer. Originally, Pitt agreed to house its Center for Urban Education at UPrep and to provide in-classroom tutoring to students during school hours and professional development for teachers. When the district had funding to pay tutors, there were more than 100 of them working in most classrooms all day long, says Erika Gold Kestenberg, Pitt's associate director of community partnerships and practice. Now that number varies, but it's considerably less. Alan Lesgold, the dean of Pitt's School of Education, blames "serious structural barriers" — namely the teachers' union contract — for the absence of a deeper partnership. UPrep has also struggled to hold onto the expertise Pitt has provided. Union seniority rules allow teachers to choose a preferred job at another school when positions become available. Additionally, teachers with fewer years of experience can be displaced from UPrep by a teacher from another school with more years of experience. As a result, Lesgold says, "each year a number of the people we have worked with end up being displaced or moving to schools they prefer." By contrast, an agreement with the union at the Science and Technology magnet school prevents teachers from being displaced, although it can't stop them from leaving if they choose. Such an agreement hasn't been reached at UPrep. District spokeswoman Pugh says that teachers at Sci-Tech are more intimately involved in designing things like curriculum at their school "and in order to support the program, they needed to have those protections there." Getting the full benefit of Pitt's help, Lesgold says, "would require flexibility that doesn't currently exist." While Pitt makes "an annual six-figure investment ... mostly in faculty and staff time spent in UPrep," without the ability to retain a critical mass of highly skilled teachers, "We achieve small successes, but not major transformations." According to Pittsburgh Federation of Teachers president Nina Esposito-Visgitis, district teachers have worked longer school days in other district schools, including at the district's (now-scrapped) Accelerated Learning Academies. But she says it's unfair to expect teachers to work longer hours without paying them more. "It's much easier, instead of talking about the real issues, to blame teachers," she says. "We're willing to be innovative and work with the district." Similarly, Esposito-Visgitis says that there are ways to encourage teachers to attend additional training. For instance, teachers are paid a workshop rate when they attend professional development over the summer. "You can't make them come, but a lot of our schools have done a lot of creative things to get teachers to come in after school and on the weekends," she says. Esposito-Visgitis admits there has been some turnover at UPrep. According to the district, last year, an average of 50 percent of teachers and staff have changed over each of the past five years. But she says teachers aren't the cause of UPrep's problems. "I don't consider UPrep a failing school," Esposito-Visgitis says. "I'm really proud of what [our teachers have] done, but it's unfortunate that some of the programs weren't carried on, and a lot of districts have that problem." Education-reform expert Bryan Hassel agrees. Hassel says many of the UPrep reforms — like laptops and uniforms — are common-sense solutions. And "[g]iving teachers more time and giving students more time has been shown to really have an impact," says Hassel, who works for education policy and consulting firm Public Impact. "Low-income, disadvantaged students often need more time to get up to the standards we have." Still, he adds, it's not unusual for such efforts to get mired in financial and contractual problems. "Union contracts sometimes specify hours of work [and] how teachers are assigned in ways that limit the ability of schools to reorganize things," Hassel says. So if a district wants to carve out exceptions for a given school, Hassel says, contracts often must include an "opt-in" clause allowing teachers to volunteer to work in schools with longer hours. At the same time, Hassel says, school districts have to be realistic about the cost of reforms and ask, "If these things are important, how can you restructure your funding to pay for it?" Administrators "need to design reforms that are sustainable from the start, not depending on a temporary source of funding." The pledge to purchase laptops for UPrep students to take home is a case in point. For the first three years of the program, all UPrep high school students had access to such computers, a benefit offered at only a few of the district's magnet schools. But since then, there have been enough laptops for students to take home only on a case-by-case basis. The original computers are "antiquated, so we're in a state right now where we're replenishing," Hardy says. The school recently purchased 500 new laptops for use in the coming school year, but Hardy didn't say where the funding came from. "If there are structural barriers in place — one of which is the teachers' contract, the other is the way people think we should spend money — nothing will change," says former administrator Lopez, who agrees the district should earmark long-term funding for innovations. University-preparatory schools that serve low-income students can struggle in their first two or three years, Hassel says, partly because they "don't have a normal problem." Still, he adds, the experience in Pittsburgh is troubling: "Six years is plenty long to conclude they need to do something really differently." On a Thursday morning this past March, UPrep's eighth-grade students listened attentively as eighth-grader Tarea Franklin and her fellow "Wildcats" led a meeting of approximately 25 students. Every morning, UPrep students who have been deemed Wildcats for their good behavior lead a grade-wide meeting. There, they discuss their peers' accomplishments: On this day, one student was praised for helping to keep a class orderly the day before. A whole class won recognition for improving its test scores. Implemented at UPrep at the start of the 2012-13 school year, the Wildcats program rewards students for positive behavior. Students start as "neutrals"; depending on behavior and academic performance, they can rise to "positive" or fall to "concern" status. The positive students (Wildcats) receive special privileges like field trips, and leadership roles like the one Franklin was filling. "The other students see what we get so they want to be like us," Franklin says. "It makes you want to try to get better and to improve your behavior," says Mikasia Griffin, another eighth-grader. The Wildcats program was created by consultants at Specialized Education Services Inc.; implementing it at UPrep and two other schools cost the district $400,000. UPrep school director Tony Esoldo, who's in charge of grades 6-8, says the program seeks to "identify our leaders — leaders who are leading in the wrong ways — and to get them to lead in a positive way." In the process, he says, it does something that's "been lacking for so many years in schools like ours — giving kids a voice." UPrep's student body — which is drawn from Garfield, East Liberty, Lawrenceville and the Hill District — is 95 percent African American. Nearly nine in 10 students are eligible for free or reduced lunch, a marker of poverty, compared to a district average of six in 10 students. "Where we're seeing poverty becoming an issue is with our teenagers," Hardy says. "School isn't as attractive to them and ... isn't viewed as, 'This is my opportunity to escape this cycle.'" "The kids in the Hill District are not getting the same kind of enrichment as kids from Fox Chapel or Mount Lebanon," says Wendy Etheridge, executive director of Higher Achievement, which provides after-school and summer programs for UPrep students. "When you don't have a lot of role models who have gone on to earn a master's or a bachelor's degree, you don't understand the kinds of opportunities that lifestyle provides." "I can't tell you how many kids were in danger of not walking in their graduation because they didn't have a cap and gown, or not going to their prom because they couldn't afford it," says Malcolm Thomas, director of UPrep's Reaching Back African American Male Mentoring Program. The program provides academic and social support. 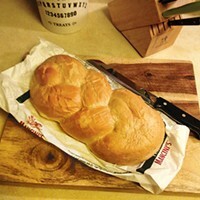 "Our children deal with a lot of things that would not typically be presented to young people. ... In the last two years I've seen so many kids crying." Take the heartbreaking case of Earnest Williams. In 2010, the then-14-year-old recorded a segment for community-radio group Neighborhood Voices, in which Williams outlined his goals. "For the new year I hope to have a 3.8 GPA," said Williams, a ninth-grader at UPrep at the time. "I want to study to become a lawyer and I can't do that without having a good GPA." This past May, one week before he was set to graduate, Williams was shot and killed, making him one of three UPrep students or graduates killed this past school year. Such tragedies complicate school discipline and the learning process. 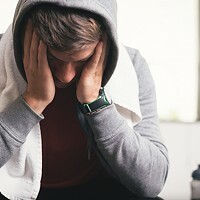 "Brain research shows very conclusively that whenever you have high stress, you can't think clearly or correctly because your mind is preoccupied with survival," Thomas says. "Grief and the terror create a culture of tension, so you have kids who tend to under- and overreact to a lot of things. When there's multiple people in an environment like that, there are kids that are easily distracted and distracting." Statistics suggest the SESI program has had an impact. The year after it was implemented, the number of incidents of misconduct dropped from 252 to 41. The number of fights dropped from 54 to just 13. "You don't have kids who are just running around the school anymore," Franklin says. "There were more fights two years ago, when I was in sixth grade, than there are now." "We've seen major changes," says Esoldo. "The culture in this school has dramatically changed." Teachers seem to agree. In a 2013 survey, 74.5 percent of UPrep teachers said they work "in a school environment that is safe" — nearly triple the rate of the previous years. Just over half of teachers agreed that students "follow rules of conduct" — a five-fold increase from the prior year. SESI might also be having an impact on teacher turnover. According to the district, in the 2011-12 school year, seven teachers resigned from UPrep. Four resigned the following year, and only one resigned in the most recent school year. For Hardy, UPrep's principal, the turnaround proves the necessity of experimenting with new ideas. "We make decisions to change and reform year after year," he says. "If it's not working, we will break it, blow it up, rebuild it, and put kids first." Hardy acknowledges that when it comes to measurements like eligibility for the Pittsburgh Promise, "The data is not in our favor." But he says there is anecdotal evidence of improvement. In UPrep's most recent graduating class, eight students already had credits from at least one college class under their belts. Hardy says 90 percent of his students have been accepted to a college, vo-tech program or other post-secondary institution. In this way, Hardy says, UPrep has maintained its commitment to promoting a college-going culture. Students attend yearly college tours and receive fee waivers for up to six college applications. "In spite of the obstacles we've been thrown, we're preparing kids for the rest of their lives," Hardy says. "They cry on our shoulders when they graduate, and we cry on their shoulders when we send them off to college." 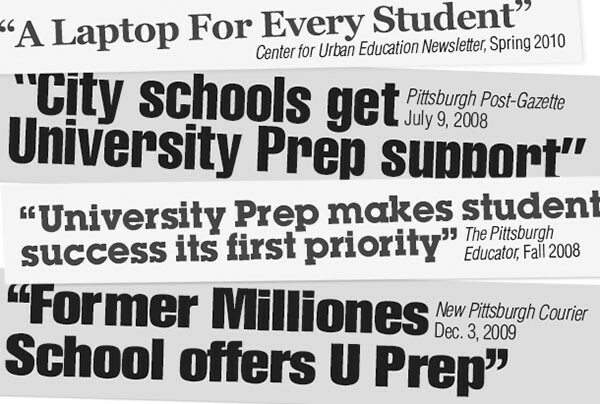 UPrep has "made tremendous gains," agrees Esposito-Visgitis. "It's a different school than when I went there to visit three years ago." And for good or bad, it may be a different school three years from now as well. In the 2012-13 school year, SESI consultants helped students with behavior, allowing teachers to focus on academics. But despite the apparent success of that approach, this past school year, consultants were absent at UPrep because their contract was for only one year. 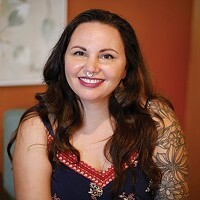 Discipline problems began cropping up again as a result, says teacher Theresa Stipkovitz, who will start her third year at UPrep this fall. The Wildcats program "really began to turn the school around," says Stipkovitz. But while the district hasn't yet compiled statistics on behavioral issues for the past school year, she says, "it was a little rough this year because we didn't have the extra support. More teachers were involved in addressing behavior than we should have been." Despite the school's challenges, Stipkovitz is passionate about working at UPrep. In fact, she turned down the opportunity to leave the school for another position. "I like being at UPrep," she says. "I love the teachers. I love my principal. They're very hard-working." But Stipkovitz says that enforcement of the school's dress code has also waned. A City Paper reporter visiting the school on Take a Father to School Day saw a number of students not wearing the uniform of a white collared shirt and khaki bottoms. "I think consistency is missing in [the students'] own lives and in school," Stipkovitz says. "There have to be consequences for their actions. If they can't follow the small rules, how are they going to follow the larger ones?" "How do you expect them to adhere to a policy you're not going to follow up?" says Damon Randolph, whose son transferred to the school after the family moved from Plum Borough. Randolph says his son's academic performance and behavior have declined since he started at UPrep. He's visited the school a number of times to meet with teachers and administrators, and hasn't liked what he's seen. Last year, he says, his son told him one of his teachers never showed up for a class. And when Randolph tried meeting with his son's counselor to see how he was doing academically, the counselor didn't even know who his son was. "I'm not saying my son is a perfect angel," Randolph says. "But I don't know if I could do what I was supposed to do in this environment. It's total chaos." And Randolph says there's a lack of follow-through in the school. He says educators should emphasize consistency, more than implementing the latest innovation. "In chaos, anything can happen. That's why you have fights and kids skipping class," Randolph says. The school's programs "aren't working," he says. But "when you tell [administrators] there's a problem, they tell you they have a new program to address it." Says school-district spokesperson Pugh, "Changing a school and building a school is not something that happens overnight, and we definitely agree it's not there yet."